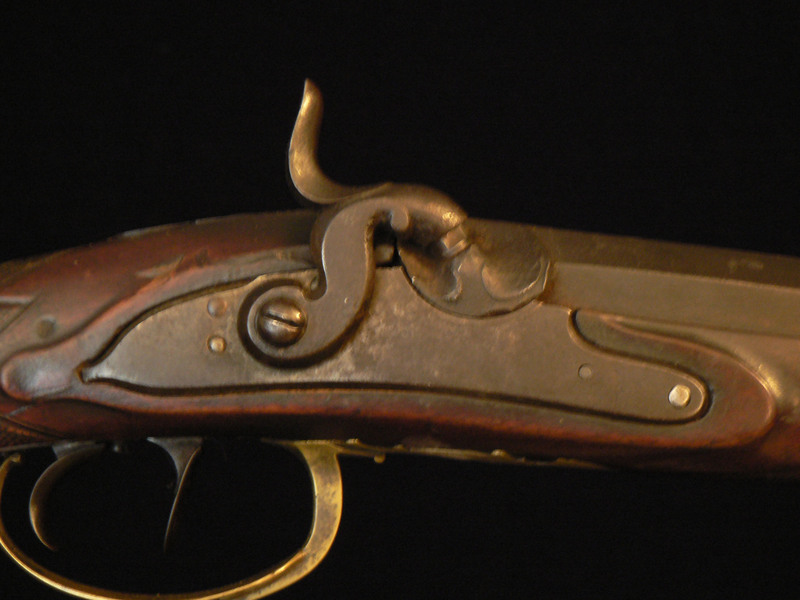 An unsigned flint Jaeger rifle probably made in German about 1800, and later nicely converted to percussion. This is a neat unadorned ”working Jaeger” with a 27” approx 60 cal. barrel. It retains it’s original wooden patchbox lid, that still snaps into place with authority. Double set triggers, double leaf rear sight, horn nose cap and sling attachments grace this gun. 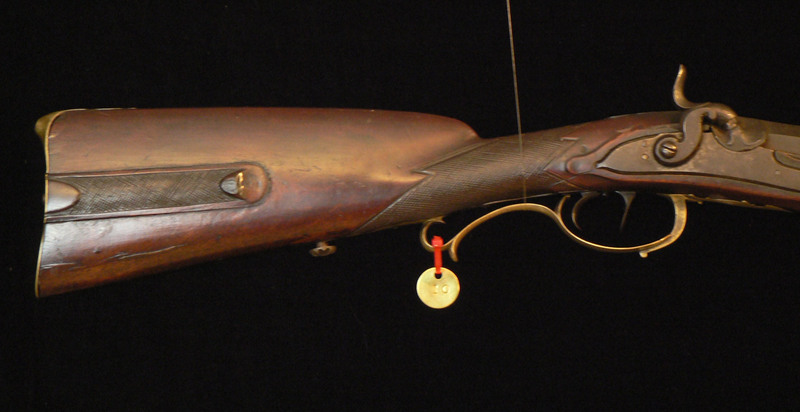 A nice example of a Jaeger rifle at the modest price of $1,500 plus S & H.